8560 Greenway Boulevard has a Walk Score of 10 out of 100. This location is a Car-Dependent neighborhood so almost all errands require a car. This location is in the Pleasant View Golf Course neighborhood in Middleton. Nearby parks include Quarry Park, Stricker's Pond Park and Stricker's Pond Park. Explore how far you can travel by car, bus, bike and foot from 8560 Greenway Boulevard. 8560 Greenway Boulevard has some transit which means a few nearby public transportation options. Car sharing is available from RelayRides. 8560 Greenway Boulevard is in the Pleasant View Golf Course neighborhood. 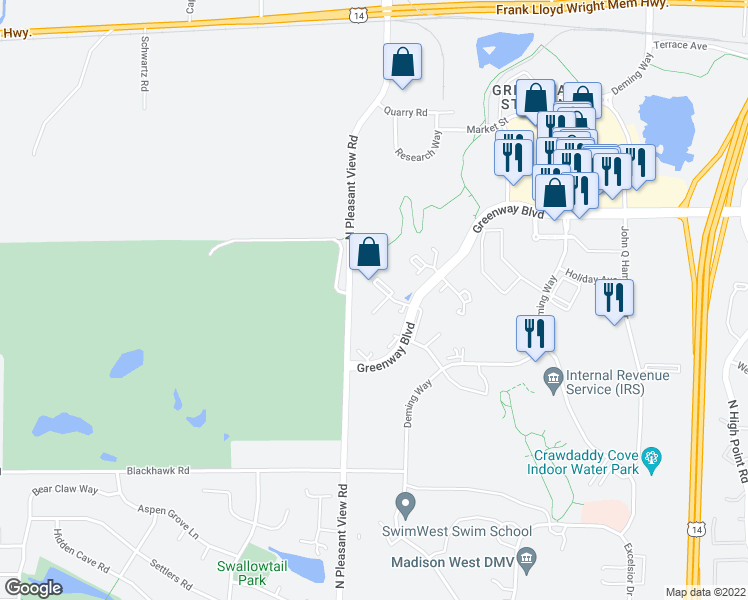 Pleasant View Golf Course is the 13th most walkable neighborhood in Middleton with a neighborhood Walk Score of 25.